Netcut Pro for Android, Made by official netcut developer arcai.com, With Netcut-Defender built-in released today, Only registered user in arcai.com been notified at first place. Thank you for long waiting, Netcut Pro for Android has been released. This version can only be downloaded from arcai.com. 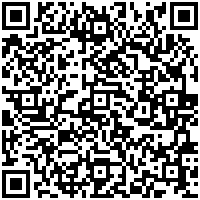 I am pleased to announce that “Arcai.com’s Netcut for Android” has been released as of today, scan to download link provided. What’s new in netcut Pro? 3. One click to limit ALL. 4. Chart Report by brand. What you can do with Android Netcut? 1. 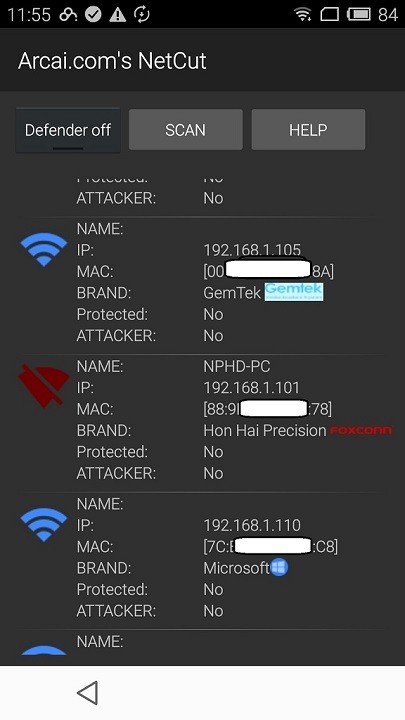 Quickly detect all network user in WIFI, even when your phone has no valid IP address or not been granted use WIFI internet. as long as you connected to any WIFI, arcai.com’s netcut can work. 2. Set on/off line to any network users, including phone/xbox,softphone, PS3, PS4 etc. one simple click on the network user. 3, Cut off network between two network users within LAN , by set one of the user as “gateways” , then cut off the other users, then those two users won’t be able to talk to each other, eg: apple TV, Google TV, Xiaomi box , cut off the phone connection to those box, will disable screen cast like feature. 5. Scan network when you feel there are users still on network and you can’t see it. 6. Check phone type, NetCut will be able list type of phones. 7. Set and remember user’s name. so whenever this net work usr appear online again with you on same network, you know it’s identity right away. Long press any network user, a pop up window will allow you input name for the user. 8, Detect attacker, if any one try to play arp spoof to you, you will be able to see who is attacking you from netcut directly. more oever, netcut will turn the attacker offline right away. please try 1.4.1, that’s the latest version. When I try to install the app from google play store , it shows insufficient storage though i have available about 1gb .All other apps can install without netcut. I also try to install apk downloaded from this site.But the result is same. Please inform me why this app can not be installed. Help me out as soon as possible. I’ve installed the app normally, i paid the fee but i can’t get pro service. Why? please email your order id to [email protected] and your user ID. how to log in net cut app? can i use this app in apple phone? Well , I founded a big issue in your last NetCut android version, and this issue we can found it in the previous versions. The problem is that , when I’m cutting off a PC with Netcut for Android works but when that PC goes to cmd and types ipconfig /release after ipconfig /renew (changes the PC’s IP) , the application Netcut doesn’t work anymore for that PC. So I have to restart my phone and redoit again. So , please I hope you can resolve this issue forever.